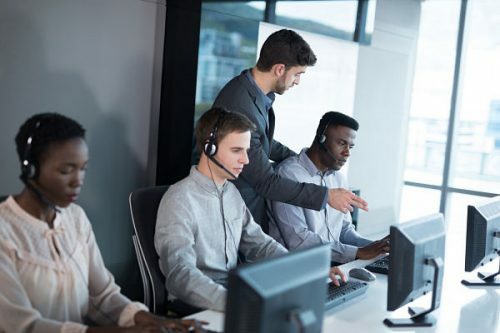 In the last few years, contact center technology has undergone radical changes that have remarkably enhanced customer experience. One such technology affecting that change is speech analytics. The traditional role of speech analytics used to be as an add-on to a contact center technology stack that would provide analysts with post-call insights into rep and customer interactions. 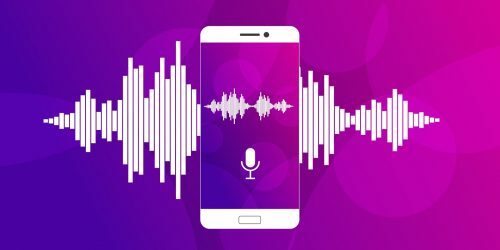 While this was (and still is) valuable, advances in computing power, natural language processing, and natural language understanding have made it possible to use speech analytics in a whole different way. To learn more about advancements in speech technologies, we spoke with Chris Kontes, co-founder of Balto Software. BLD: Tell us a little about Balto, how it got started, and some of the impacts and differentiations that you’re making in the marketplace. Chris: Balto got started early last year. Marc and myself are both in a sales management role, and we recognize that with the solutions that exist out there, even if you can pull recordings and analyze those recordings, human nature is such that unless feedback is given in real time, repetitively, instantaneously and objectively, then people don’t actually build good habits. What we’re finding is that you can do a training call on Monday, and then hopefully on Tuesday the agent starts applying the technique. The reality is that people will revert back to their old ways. In addition, the techniques we were using weren’t scalable, so that also didn’t help to change the behaviors of reps. We couldn’t listen to all of our reps’ calls all of the time to let them know if they were making mistakes. We started thinking about how we could build a solution that understands 100% of calls all the time, and objectively provide the right actions to take, over and over again, so we know that habits are being built. That’s where the concept for Balto started. Our third founder and CTO, Davidson Girard, has a background in this type of technology and is a literal genius, even if he won’t admit it. He took an immediate interest in the project, and we’ve been building since then. BLD: That’s a good segue into a question I was going to ask, since you mentioned that the idea for Balto came out of necessity. In terms of coaching techniques that you’ve touched on, would you consider call guidance a better technique, rather than providing feedback right after the call is over with? Chris: That’s certainly our position. With no disrespect to the traditional speech analytics solutions of the world, those are also good products and they’re important, and we offer post-call analytics as well, it’s just doesn’t underpin our thesis. I think the perfect solution is to look at those post-call results, get an idea of where your team should be improving, and then use Balto to reinforce those habits in real time. Balto is the delivery mechanism for real-time insights that you’re seeing across the team. 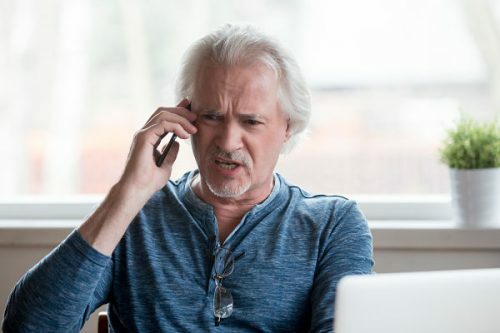 Why wait until after the call is lost to make the fix, when it can be done while there’s still time on the call and the agent has time to self-correct? Why wait until after the call is lost to make the fix, when it can be done while there’s still time on the call? BLD: So Balto is actually processing the speech as it happens in real time? Chris: That’s right. When you’re doing 100% of calls in real time, the technical infrastructure require is unique and one of the achievements we’re most proud of. BLD: So there is complexity obviously. You’ve got a lot of conversations happening that must be processed and interpreted. Balto has built a platform that can handle that all at once, and you can scale when needed. So would you say that’s a differentiator? Chris: The three big differentiators are the processing of calls in real time, as opposed to post-call, being able to do this for 100% of calls, and providing objective insights into what’s actually driving performance. BLD: Can you share some numbers as far as accuracy when it comes to the speech to text translation? Chris: Sure. Accuracy can be measured in a couple of different ways. We can measure in terms of false positives, or false negatives, as well as aggregated accuracy and things of that nature. Accuracy in the real time space is a broader kind of challenge than if you’re post-calling or producing actual transcripts for customers. We are well within the industry standards of accuracy, well north of 85%. It also depends on the account and the use case. If you’re a financial services company and you have a lot of industry specific language, then there’s an additional area for us to make sure we pick up on the specific nuances of your environment. BLD: Given that this is real time speech detection and guidance, I would imagine that detecting emotion is a fairly important part of that conversation. Is that something Balto is able to do right now? Chris: The short answer is yes. If someone was looking exclusively for what we call “tone analysis,” then there are companies out there that don’t do any actual language processing, they’re just analyzing tone, and that’s their bread and butter. And I’ll be honest, they probably commit more resources on it than we do. But the interesting thing with that challenge is that even if you’re just looking at the transcript of a call, in most cases, if you have millions of data points on different words and phrases, you can infer with almost total accuracy what someone’s tone and mood was, based on the language they choose. So when you’re analyzing language, you can infer tone, but if you’re just listening to tone, you can’t infer language. In our post-call solution, we also track all kinds of variables that indicate someone’s mood or tone, like active listening and rapport building. We also do this on the customer side, measuring things like complaints, concerns, and repeating a question many times. All of those have mathematical correlations with how the caller is feeling, and then we can produce those results for customers. You can infer with almost total accuracy what someone’s tone and mood was, based on the language they choose. BLD: Do you integrate with other contact center software on the market and/or CRMs? Chris: Balto can be a standalone tool; you don’t need to do any integration for it to work. We do have specific integrations with major CRMs and phone providers to give some additional functionality to the tool; however, Balto can also be totally standalone. You could download Balto right now, and it would start learning and adapting to your calls. It would not require you to stay embedded in anything, like Salesforce, for example. BLD: Are you able to list what CRM or contact center software can integrate with you today? Chris: Sure. On the phone side – RingCentral, Five9, inContact, Livebox, TCN, 3CX to name a few. On the CRM side, we have specific integrations for HubSpot and Salesforce, but we have an API that we can make work in all kinds of technical environments. BLD: So Balto is about a year old. What is the company’s long-term goal? Chris: The goal of Balto is to be the biggest AI player in the Midwest. We tell people that all the time. This is really where we’re targeting rapid growth. We want to be a big player and we want to put St. Louis on the map as somewhere where innovation can happen, as the Midwest often gets overlooked. I think people hear we are only a year old and they think beta customers or something like that, and that’s not the case. We have a lot of full enterprise customers, paying a substantial amount of money for the software. BLD: Where do you see speech analytics and live call guidance going in the next few years? Chris: It’s multi step. I think when a lot of the market hears speech analytics, they are thinking post-call, because that’s what has existed for a long time. I’ve seen a lot more people recognize that real time is valuable, but I think there’s still an education that needs to happen in the market. And then after that, there’s 5 million plus Americans who work in call centers across the U.S.
There’s a lot of opportunity out there, so investing in our sales and marketing teams will be a priority for us. As far as the industry in general, it’s a hot industry, and I think it’s going to continue to pick up. I’m a big believer that as long as something is providing value for people, there’s room for more people, and I imagine it’s going to keep growing with that in mind. BLD: We appreciate you opening up and sharing with us some of the things you guys are doing and some of the trends that you’re seeing in the marketplace. For more information on how Balto’s technology helps guide reps in the call center, visit baltosoftware.com.